Email is an essential part of our daily life, no matter it's for personal or business. So it's very important to choose a proper email app for yourself. 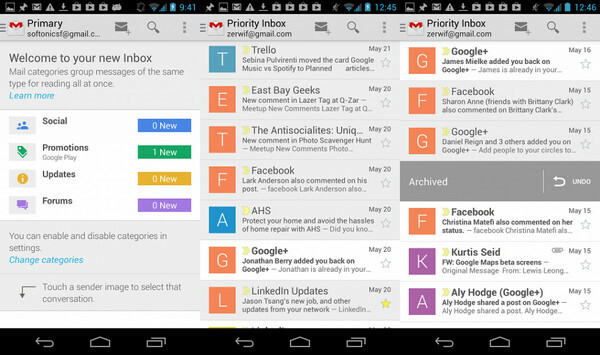 If you just bought a nice Android phone and are thinking about the best email client for your phone, then it is better to get an understanding about the top 3 email apps recommended in this article. Read more on this article and download the best one according to your own needs. Without any doubt, Gmail is the quintessence of Android that will bring you the right android experience without any doubt. It's the stock mail app for most of Android devices. The excellent thing about this app is that each data you have in your mailbox influences the fresh commendations from Google. In addition, they also fill up your calendar, and even they will tell Google Play about the apps that you are possibly using. In addition, it's very convenient to back up contacts via Gmail app on different mobile devices. 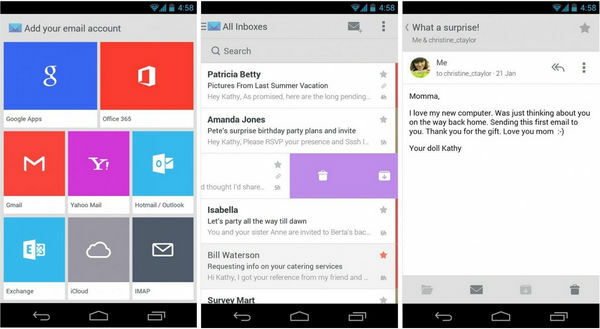 Even though it is true that Outlook might look like the vestige from the days of Windows XP, this is an effective and smart email application without any doubt whatsoever.When Microsoft acquired the popular company, they got very much into the mobile gaming niche, but they did some changes and relaunched it in the name of Outlook. The excellent thing about this email application is that besides handling Outlook and Microsoft Exchange, it can also effectively handle IMAP, Yahoo, iCloud and Gmail as well. An excellent task that this email application can perform for you is that it can keep track of all your files that showcased in the messages section or those that have been used almost regularly in OneDrive, Box, and Dropbox. Microsoft keeps introducing new features and they regularly push updates and have also embraced material design in this application. 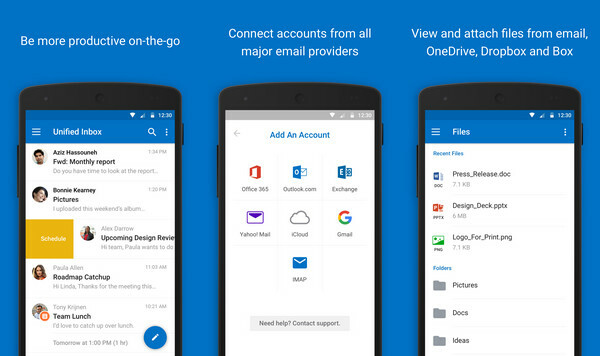 If you are looking for ways to unite all your email into a single application and if you have an Exchange Account, Outlook can be the right answer for you. If you are an individual, who always loves thinking out of the box, then CloudMagic can be the right answer for you. Even though it is true that this application has the regular take-to-collection moves, but the unique feature in assimilation with the most famous cloud services like OneNote and Evernote will be of great help to you. These additions are available in the form of cards that you tab inside a communication, such that you can send the message to the service that you like the most. Another benefit associated with this email application is that there is a dedicated cross-platform application that works on Mac, Android and iOS devices. It's in such a way that you can get a steady experience on the desktop.